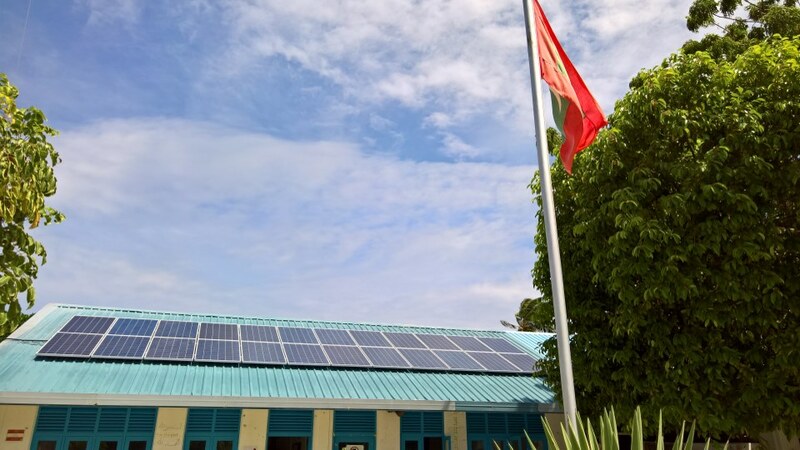 The School electrification Project in the Maldives, supervised and funded by UNDP, is part of a Maldivian program called LECReD (Low Emission and Climate Resilient Development). 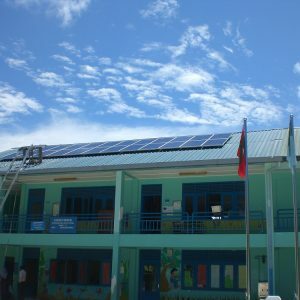 This program aims at reducing greenhouse gases emission as well as improving access to electricity for the population. The physical characteristics of the country, low-relief scattered islands, makes it especially vulnerable to the rise in ocean level due to climate change. Hadhdhunmathi Atoll, located in South Maldives, consists of 82 islands, 12 of which are inhabited, and is home to about 15,000 people. This atoll, not a main tourist destination, lags behind in terms of development. Logistical constraints are important. In all of the atoll, there is only one maritime freight harbor. Sea links with the rest of the country are very limited and rare; connections between the islands of the atoll are also rare and precarious. 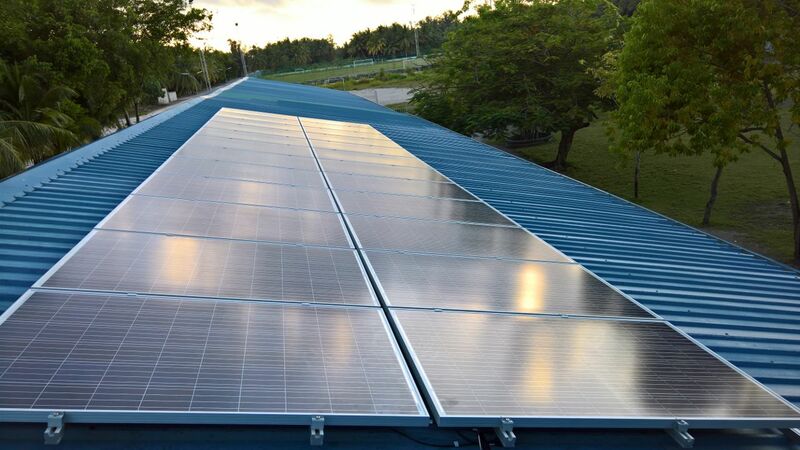 Our part in this project consisted in designing, supplying, installing and maintaining 11 grid-tie solar farms of a nominal capacity of 6kWp. 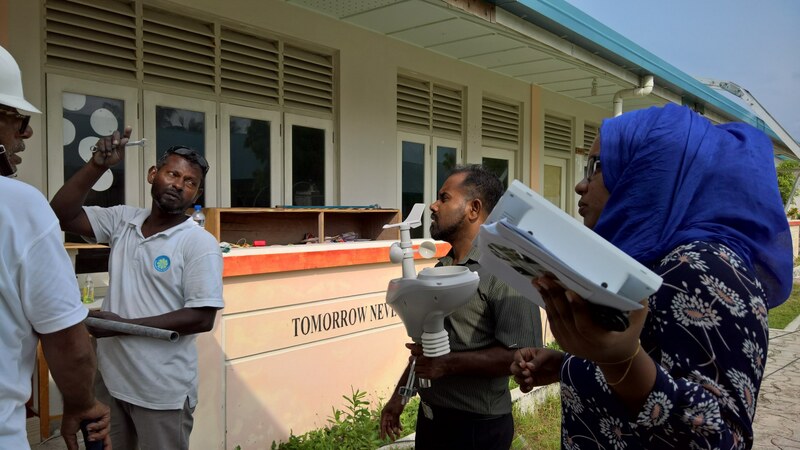 These farms are providing power to 11 schools and educational centers located on 10 islands of the Hadhdhunmathi atoll in the Maldives. 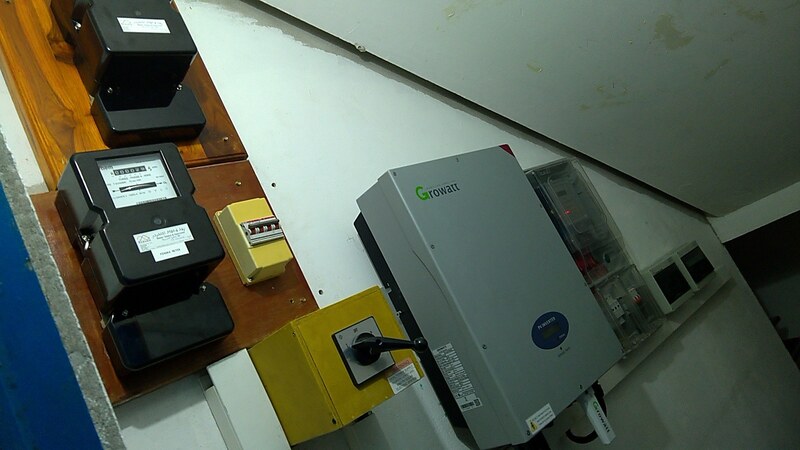 We also monitor the production of the solar farms and ensure after-sales service for several years.